Technology is engaging and empowering, but it can easily become overwhelming and before you know it is driving you rather than you simply using it. Multiple studies link technology, and particularly smartphones, with depression and anxiety. And the world’s largest smartphone maker Samsung wants to change that by taking attention from smartphones. Samsung, which touts the Galaxy Note 8 as a device for go-getters, is recognizing the negative impacts of the digital whirl and is advising users to take control of their affair with technology. 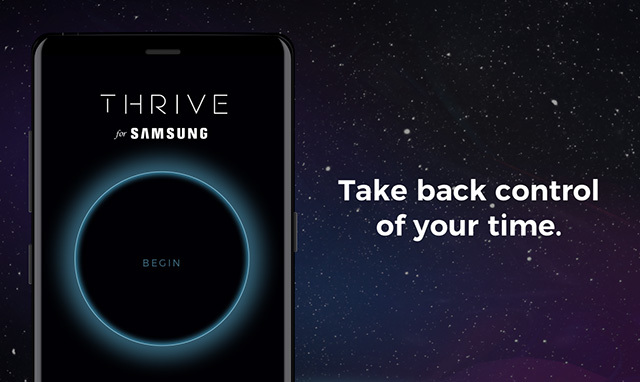 The mobile giant has introduced an app called “THRIVE” in partnership with Thrive Global, a company founded by Arianna Huffington of Huffington Post. The companies claim will help users find out the best times during the day to unplug their digital lives. 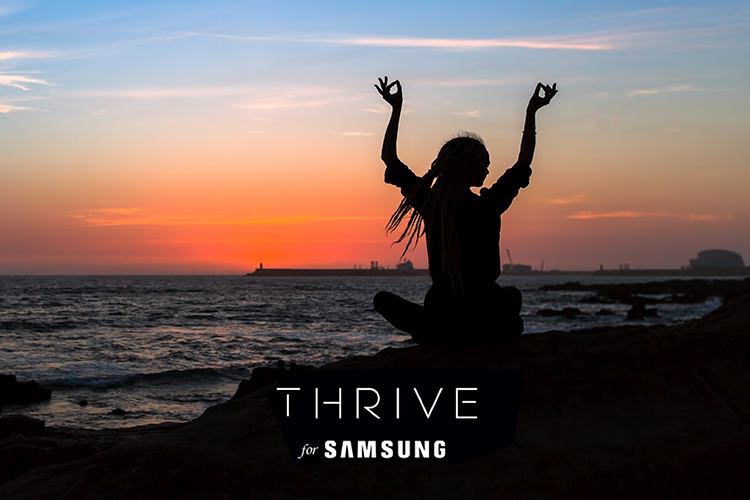 The THRIVE app allows users to switch on a DND-style “Thrive Mode” which can be set to spans ranging from a few minutes to up to 24 hours. During this period, anyone who’s trying to communicate to you is notified that you’re “thriving” along with details like when you’ll be available. This, however, excludes “VIP Contacts” who are allowed to trespass your bursts of focus. 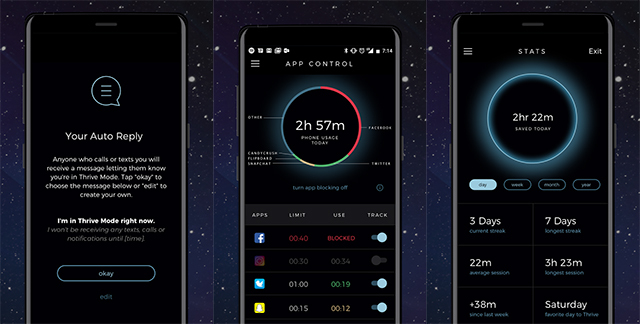 THRIVE allows you to take complete control of your app usage and lets you set app-wise time limits. You can analyze the time spent in Thrive Mode across in intervals of days, weeks, months, and years. There is also a so-called Super Thrive Mode that restricts notifications completely including your VIP contacts. Furthermore, you can pre-schedule Thrive Mode for set periods of no disturbance. The app is backed by Samsung and optimized for the Galaxy Note 8, but there’s an Unreleased or Alpha version on the Google Play Store (free) which you can try on any Android smartphone. Do note, however, there are chances of the app misbehaving.